Getting homesick traveling alone? Why not invite some of your friends? There are so many perks you can discover traveling with them. Be it the discounts and the fun, there are many things you might find out on and off the road with them that no solo traveler can. Before you rule out the company of others on your trips, consider the benefits. Find them out in this article. Traveling with friends simply means that it’s safer to travel. With them, reduce the risks of mishaps on the road. Your family will be at ease once knowing you’re with a large group of people you can and your parents can trust. It’s good to have someone who can help you when you get lost or if there’s an emergency. For someone who can’t stand loneliness on the road, traveling with a friend is your best option. It is for those who need a person to share all your stories and experiences with. During road trips and bus rides, reminisce them together and keep the trip alive. Besides, it feels good to travel with a person you can trust and love. As you travel the long and winding road and aside from the excitement to travel to a new place, there’s nothing like having someone who has the same sense of humor as you. You can crack jokes and share your beautiful moments of your life. With them, they can ease the boredom of everyone and help pass time. You will never know a person until you’ve traveled with them. In these times, you can explore each other patience and other strengths and weaknesses. More importantly, traveling can test and strengthen your bond as you face difficulties once you’re on the road. As travel expand our mind to new perspective, traveling with friends, on the other hand, deepens friendship. It’s good to travel with someone who has the same interests and approach to travel expenses. 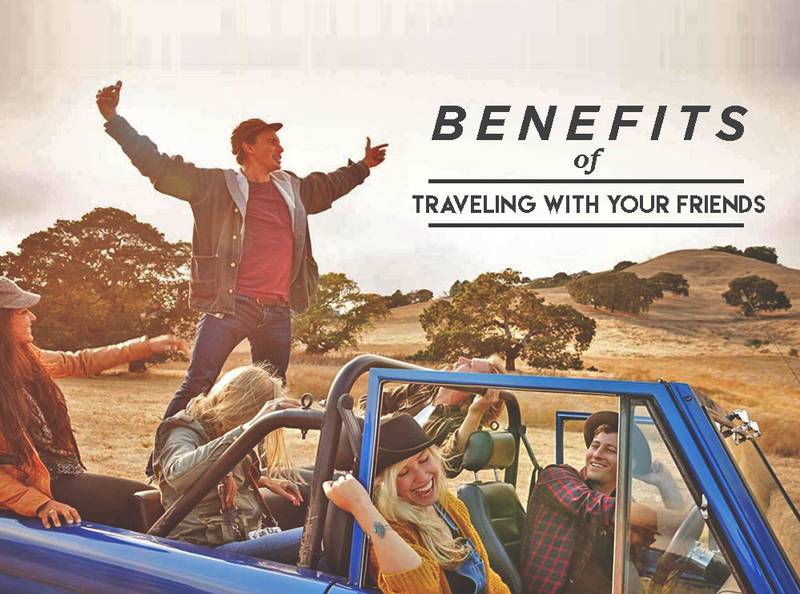 Whether you like it or not, you join traveling with friends because it’s a lot less expensive. This means that you can share hotel, meal and transport costs. It also means access to a variety of awesome group discounts and deals. With them, you can always support each other making the travel convenient. Other than family members, the only person who has the guts of carrying and guarding some of your things is your friend. Be thankful you have them. One of the most interesting part of traveling with friends is that you can always rely on them if you’re tired of stretching your own arms just to take a picture. There will always be that one friend who can both act as an enthusiastic photographer from your arrival to departure. Although sometimes, one can also act as a quirky photobomber. Traveling with friends means more brain power. Some of you will be more knowledgeable of something than others. Sometimes, you can even discover new talents on the road. Pulling all that knowledge together will give you more perspective. More interests, skills and tools in your arsenal means that you can do more accomplishments together on your trip. To sum up, traveling with someone is the best choice for someone who easily gets homesick, a first-time traveler or just social animal. We might sometimes feel like being on our own, having a social break and enjoy the scenery with nobody behind our back, but at the end of the day you will have experience much more fun when being with someone, especially for a long run.